"Because of security issues, my company has a closed network and that does not allow for remote access nor for the transfer of diagnostic logs that OpManager⁄ NetFlow support team needed. The support team’s expertise and pro–activity enabled them to help us and resolve our issues regardless of those obstacles. Their customer support staff is exemplary. They truly went above and beyond. Thank you, support team." Power-IT is proud to be Zoho's ManageEngine partner and our combined strengths have ensured our Clients a smooth transition to ManageEngine with affordable, comprehensive, reliable and very friendly Solutions." "My network guy likes the ability to map and view everything down to the port without a lot of effort. I like to see all services on my servers and see issues. It has a lot of of flexibility and I can monitor everything or even add monitoring metrics. With the Netflow Plug–in, I can better understand of traffic flow and what eats up bandwidth. With EMC Smarts, it did a lot and I needed a large team to manage the network. With OpManager, I don’t need to spend money on training and spend time writing policies and scripts. I don’t need a whole team to monitor the network. The TCO is much lower." US Army Criminal Investigation Laboratory (USACIL). "OpManager is an ever improving monitoring solution with new features in the latest version 8 release such as greater reporting capabilities, additional performance monitoring, failover support and an enhanced intro page with great overview of all of our devices. In my opinion, it is the most beneficial tool we own. There is a greater ROI with OpManager than with the other more costly monitoring systems like Tivoli, OpenView or SCCM’s Operations Manager. Not mention the ease of installation and configuration as compared to OpenView or Tivoli." OpManager and Netflow have made a huge difference to our Network and Systems teams. Before we brought the Manageengine, we were using a number of different monitoring systems depending on the type and brand of equipment being monitored. Obviously this made it difficult to understand large issues that involved multiple systems spread across multiple monitoring systems. Now we have a single application that monitors nearly any piece of equipment we have on our network." Avera McKennan Hospital & University Health Center. "The best way is to give you an example of how this has helped me. In my role probably one of the more important features of OpManager is the proactive monitoring. On occasion, I have received emails, from OpManager, over a weekend highlighting an issue with a switch. The switch was in our Security Gatehouse and the PC, phone and door access for that area all ran through it. I was able to contact the personnel on-site and explain what was needed to resolve the issue, therefore preventing a bigger problem first thing on Monday morning!. All in all a very useful tool and I would recommend it to anyone looking for a network management tool." "OpManager has a comprehensive feature-set, with accurate reporting capability. For the number of routers and servers it monitors, the price is extremely competitive. Further the support team has been extremely helpful. Couple of times on our server box, we did some Microsoft upgrades and our databases became corrupt. The support department was able to recover our databases. We didn't have to rebuild everything and they were very responsive. Excellent support staff!" "OpManager combines the best of features, a fabulous support team and an affordable price range. Every administrator looks for a product which is dependable, inexpensive and having responsive support. ManageEngine OpManager is a best fit for these criteria." "The new VoIP management addition to OpManager provides a clean, centralized monitoring center for your VoIP network. Being able to always view the top call statistics allows you to quickly identify any possible issues. Another key feature is the report section where historical data can be used to view trends in performance." "We have been using OpManager for several years now to monitor hundreds of devices and thousands of ports. The application has allowed us to be proactive to problems before end users notice, along with being a troubleshooting tool to bring faster resolution to issues when they arise. I installed the new NetFlow plug-in before its release and the application has performed flawlessly. I have even had a chance to use the data to troubleshoot an issue with a particular VPN timeout issue. I would highly recommend the OpManager product and the new NetFlow plug-in to assist in managing networks; from the small network with several devices to the enterprise level with hundreds." 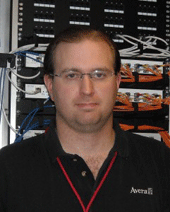 Senior Network Engineer at one of Maine's largest healthcare providers. "I must say that OpManager surpassed my expectations completely, and I was initially very surprised that Manageengine were able to put together a package so tightly integrated for functional operations use. In fact, I am still amazed at the incredible value for money OpManager is." "...When it comes to Network Monitoring systems, OpManager is the obvious choice. Excellent value for money, feature rich and integrated to our Service Desk tool. In OpManager we have a great tool which satisfies all our requirements and at an extremely affordable rate!"